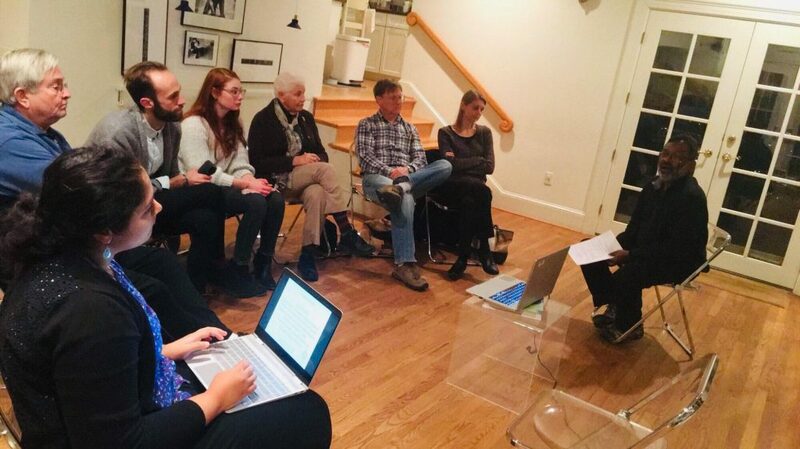 This past Thursday, HasNa hosted the third gathering in our DemoSapiens discussion series, co-hosted with MetaCulture. DemoSapiens comes from the Greek demos, meaning “people” and sapiens, meaning “wise,” because the series is designed to allow us to learn from one another’s wisdom. 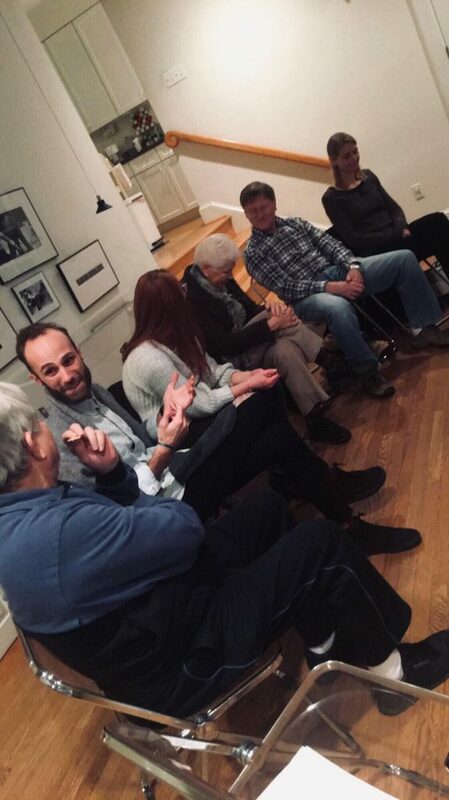 This third episode really leaned into that intention; there was no presentation and the entirety of the evening was spent in passionate discussion. We were lucky enough to have participants from a wide range of backgrounds and at significantly different points in their professional careers. The diversity of viewpoints present meant that the conversation was always lively. The central question of the evening was what does it mean to have freedom and where does it come from. Ultimately, a useful distinction was developed between conceptual freedom and freedom in practice. The US Constitution was discussed as a useful example of a document whose original definition of freedom has been continually reinterpreted over the generations in order to be more inclusive. Another highly topical subject that generated many different opinions was free speech. The conversation centered on how to determine what kinds of speech should be regulated by the government. How do we decide what kind of speech is sufficiently harmful to deserve banning? Obviously, cultural context is one of the most important factors in this discussion. It was suggested that different groups within a society should try to come through a consensus through dialogue as to what they want the government to regulate. Essentially, freedom of speech must be exercised in order to decide the limits of that very same freedom. However, the problem there is how those sorts of dialogues should be facilitated. There was also some skepticism expressed of how effective dialogue can be in the long run. The disagreement around the value of dialogue as a way to determine governmental actions was tied to a larger debate over whether democracy is or ought to be developed and run from the top down or from the bottom up. The founding of many democratic nations — such as the US and India, to give two vastly different examples — was led by elites who crafted and imposed their version of a good government on the majority. However, democracy at its core is about rule by the people, for the people. There is a clear unresolved tension there. The evening closed with a discussion of whether the meaning of freedom changes in different cultural contexts. Although it is of course an oversimplification to divide the world’s countries into two camps, there can be a broad and imperfect distinction made between collectivist and individualistic cultures. In collectivist cultures, freedom may not be valued as highly. Should it be? Who has the right to make that call? This moral puzzle is further complicated by the privilege, economic and otherwise, that makes it possible to even debate questions about freedom. Who gets to talk about these things? Why do they have the space to consider these the most urgent problems? It was a fascinating conversation that brought up many complicated ethical questions. Thank you to all the participants for their expertise and their passion. If you missed it, you can see the video here. We are so excited to continue exploring more complex issues through DemoSapiens, and we hope to see you there! This article was contributed by Zeena Mubarak, intern at HasNa, Inc.